While we’ve been watching a terrific World Series between the World Series, during Game 5 on Sunday we got the news that Cardinals outfielder Oscar Taveras was tragically killed along with his girlfriend in a car accident in his native Dominican Republic. Taveras was only 22 years old. The loss of Taveras is one that is no doubt shocking to all of the baseball world,especially all Cardinals fans,who were looking for greater things to come for the young rookie. Taveras was brought up earlier this season against the Giants where against Yusmeiro Petit he hit his first career home run in his very first at-bat, becoming the youngest Cardinals rookie to accomplish that since Eddie Morgan in 1936. He was on the Cardinals’ postseason roster where against those same Giants he hit a walk-off home run to win the second game of the NLCS, notching his place in Cardinals postseason lore. It’s hard to believe that hit was only two weeks ago. The news of Taveras’ death is reminder to all of us that life is only so long and that we don’t know when our time is up. 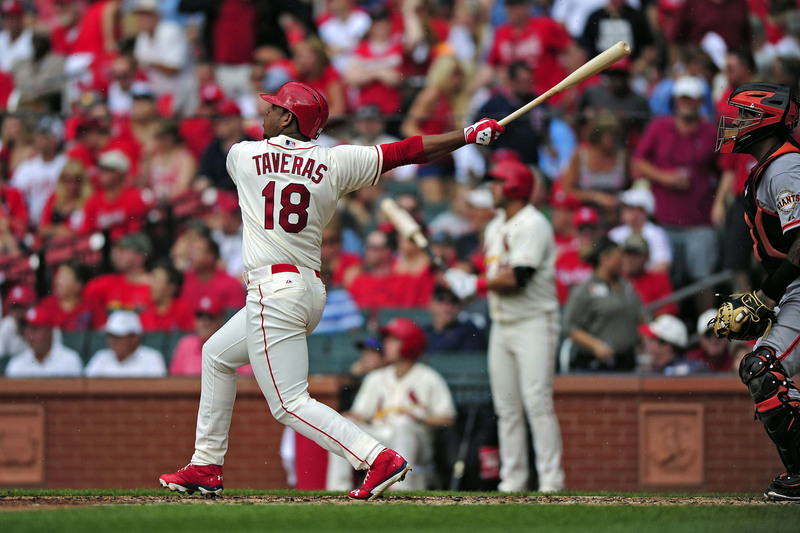 Even when it seems that someone like Taveras, who had so much promise in his career and so much ahead of him, is gone too soon. Back to the World Series and the San Francisco Giants are one win away from becoming baseball’s latest dynasty. Coming into this weekend the Giants were down 2-1 in the series against the Royals who had all the momentum on their side. In Game 4 the Royals were up 4-1 when the Giants blew the door wide open. Hunter Pence was amazing in that game with his bat and defense,going 3-5 at the plate and making an amazing catch late in the game. 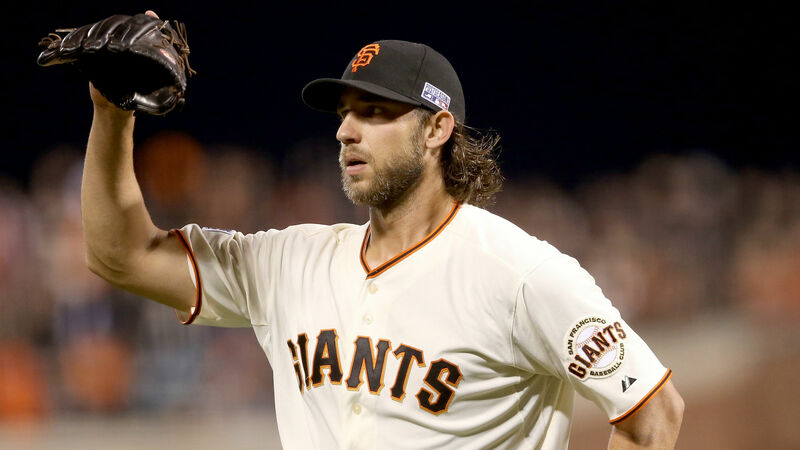 Game 5 was Madison Bumgarner’s time to shine and a reminder to all of us as to how great he is in October. Bumgarner,25, went the distance Sunday allowing only four hits and only one runner in scoring position the entire game. He also threw 117 pitches ans struck out eight Royals as the Giants win 5-0 and take the series lead. Bumgarner is also the first pitcher to pitch a complete game shutout in the World Series since Josh Beckett did it for the Florida Marlins in Game 5 of the 2003 Fall Classic. Bumgarner throughout his career has an ERA of 0.29 in the postseason and is no doubt the definition of clutch in October. I don’t know of any pitcher I want on the mound for my team in the World Series than #40. He has become part of the heart and soul of this team and with him doing his thing on Sunday it made me believe that this team will get it done tomorrow night in Kansas City. All the momentum in the world is on their side and I feel like next to nothing can stop them now. Joe Maddon just became baseball’s hottest free agent. The longtime manager of the Tampa Bay Rays decided to opt out of his contract on Friday and is now free to sign with any team.Maddon left over differences between him and the team’s front office over terms of a contract extension. Maddon says the parting was mutual and that there are “no hard feelings”. Maddon is sure to draw interest from a number of major league teams looking for a manager who can make a big splash. 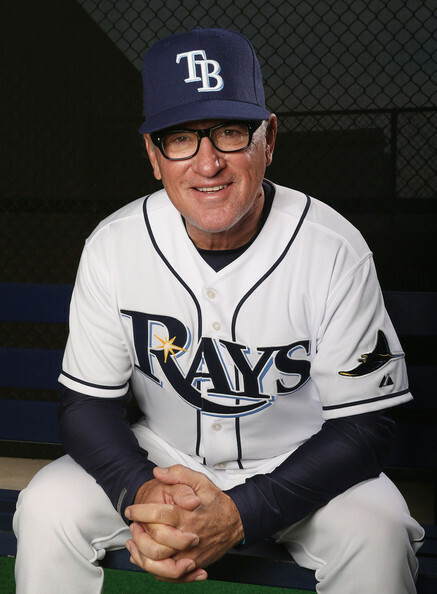 I like Maddon very much, aside from the sweet black glasses he sports in the dugout he is good at getting players to buy into what he is doing and getting the most out of his players. Any major league team would be crazy to pass on him, but to get him the price has to be right. Maddon is willing to sit out 2015 if he doesn’t receive a fair offer,but I doubt that will happen. The New England Patriots look to be back on track after boatracing the Chicago Bears at home 51-23 on Sunday. 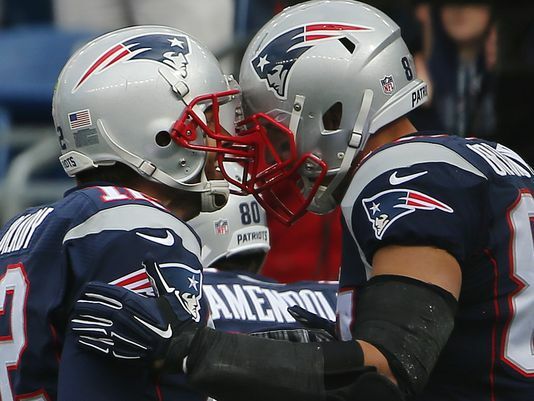 Tom Brady was outstanding,going 30-35 for 354 yards and five touchdowns,three to tight end Rob Gronkowski. Even little known Jonas Gray had a good game on the ground with 80 yards rushing on 17 carries. The Patriots next welcome the AFC champion Denver Broncos to Foxboro on Sunday. The two teams met in the AFC Championship Game in January,a 26-16 Denver victory. I agree with Revis. They’re on a big time mission. Many,myself included,thought they were sluggish early in the season,but they’ve rebounded and look like a different team than they were weeks ago. Their biggest test,however,comes this Sunday. I think the NFL season has had a fair share of injuries,but none are more hilarious and stupid at the same time as the players who are getting hurt when celebrating a tackle or a sack. 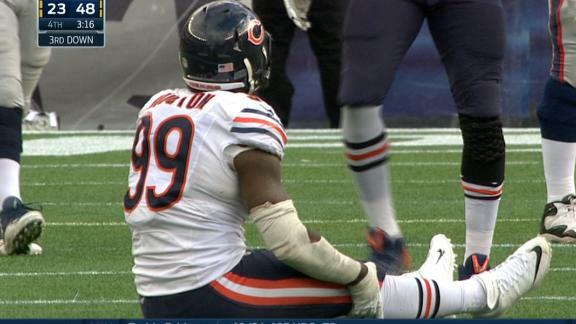 First we had Stephen Tulloch of the Lions who hurt himself in his sack dance celebration of nabbing Aaron Rodgers. Tulloch is now done for the year. Yesterday we had the latest dummy in LaMarr Houston of the Chicago Bears. Houston injured his right knee and was carted off the field at Gillette Stadium Sunday after his celebration of sacking Patriots rookie QB Jimmy Garappolo. The Bears were behind 48-23 at the time of the sack/celebration/injury. Houston is scheduled to have an MRI today to determine the severity of his injury. “…Hopefully everything is good, but we’ll see tomorrow,” said Houston, who said he’s not worried about a tear. “I probably shouldn’t have celebrated while they were blowing us out, but it happens. I get that players are excited about getting a big sack and making a big play for their team no matter the score,but there’s a time and a place. Maybe these guys should be more careful when celebrating. Just my thought! Holy crap,the '90s are back! Why bother working hard if it doesn't matter anyway?